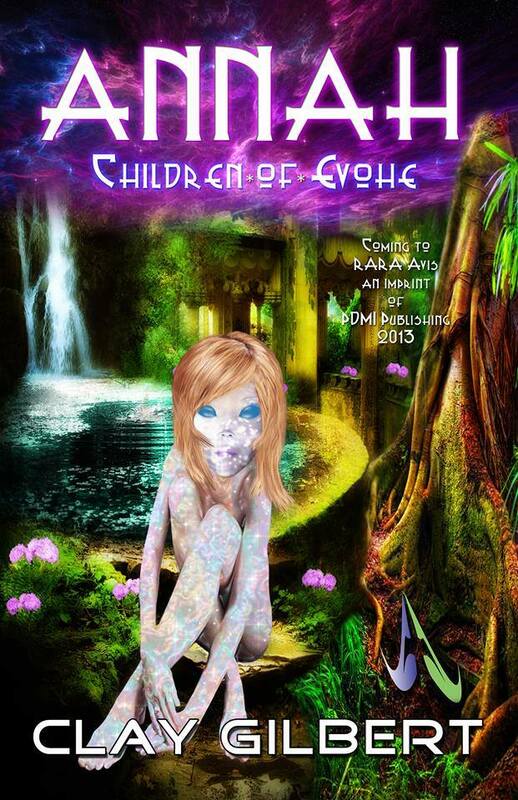 I’ve been asked why I feel my novel Annah: Children of Evohe, Book One is important, in a literary landscape crowded with stories of otherworldly beings and distant worlds. It’s a tricky question to answer, but the answer lies in character and situation. "Annah" is a story focusing on an important and timely message--people are people, whether they differ by gender, race, age, or culture; whether they are seen as normal or are viewed as 'outsiders' in their culture. Annah, the young alien girl who is the book's title character, has disabilities both social and physical--her appearance is seen by her people as a birth defect, and her questioning mind and desire to see the worlds beyond her planet, handicaps her as well. Gary Holder, the Earth man she meets and falls in love with, shares her desire to be more than his station in life, and also has a physical disability, being hydrocephalic. I was born with hydrocephalus myself, like Holder, and like Annah, I found myself on the receiving end of misunderstanding and bullying for a number of years in my youth. 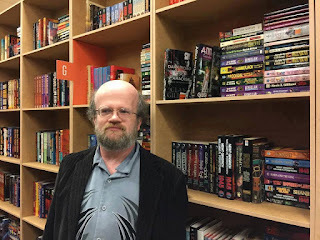 I feel that "Annah" is important because, like many classic science fiction novels, it uses the storytelling power of the genre to emphasize a truth about the human condition: that the 'alien' is an illusion--that we are each 'the other' until we have a reason to care and connect. Here’s a short but pivotal scene from the book, when Holder has only been on Annah’s homeworld of Evohe for a short time, and she and Holder are still getting to know each other. 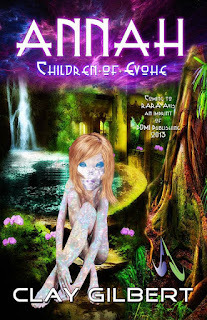 Excerpt from Annah: Children of Evohe, Book One, available now in hardcover, paperback and ebook from Rara Avis, an imprint of PDMI Publishing, LLC. “Do you care that I am not of your kind?” Holder asked Annah. He did as she asked. It was not the first night that he'd slept outside the ship--he'd been doing that now for nearly a week--but he usually made a bed for himself a little farther off from where she rested. He stripped out of his clothes as he usually did, leaving on only the boxer-shorts he slept in, and lay down just behind her. He kept his hands at his sides, although doing so felt awkward and uncomfortable. “You do not have to be afraid to touch me,” Annah said after a moment. Holder was startled at the simplicity of the statement, but he knew that was her way. It's a lot better than trying to hide things all the time, he thought. He put his arms around her, barely touching her at first, and then she slid back against him, and he felt the strange waves of heat that always emanated from her body. The sensation was calming--as it always was. She shifted in his arms, turning so that she was facing him. She remembered how his skin had felt beneath her fingers at first, when he was still healing; thought of a question she had had, and reached up to touch his head, caressing it, feeling its shape and size with her fingers. There was a--strangeness--about it that she had wondered about before; something that did not seem to be the way she remembered from what she had learned from his ship's computer. “Well, I'm not,” Holder said. She rubbed her face against his again and pressed close to him. And then, without really thinking about it, she kissed him. A quick kiss, but a kiss nonetheless. His eyes widened in surprise. There was the same sensation of humming energy to her lips as there was to the touch of her fingers. He returned the kiss, seeing the same wonder and surprise mirrored in Annah's strange blue eyes that he knew she had seen in his own. A great scene choice from the book! This book is an awesome read- you won't regret picking it up. I can't wait for the second one!